Waldheim is a town in Mittelsachsen district, in Saxony, Germany. The Kingdom of Saxony, lasting between 1806 and 1918, was an independent member of a number of historical confederacies in Napoleonic through post-Napoleonic Germany. The kingdom was formed from the Electorate of Saxony. From 1871 it was part of the German Empire. It became a Free state in the era of Weimar Republic in 1918 after the end of World War I and the abdication of King Frederick Augustus III of Saxony. Its capital was the city of Dresden, and its modern successor state is the Free State of Saxony. In 1905, Kolbe joined the 'Berliner Sezession', which in 1913, he left to join the 'Freie Sezession'. His artistic breakthrough came in 1912 with his sculpture masterpiece "Die Tänzerin", his most famous work. As he was very interested in Asian faces, D. N. Mazumdar, father of Indian novelist Anita Desai, sat for him, resulting in a bust and a torso. 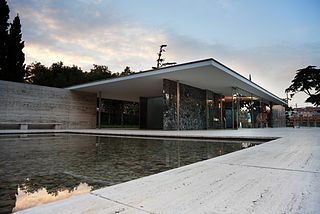 In 1929, he also collaborated with Lilly Reich and Mies van der Rohe for his sculpture in the Barcelona Pavilion; Mies placed Kolbe's Morgen (Morning)  in a small water basin. As the last president of the Deutscher Künstlerbund, he devoted himself to the promotion of fellow artists who were classified "degenerate". Anita Desai, born Anita Mazumdar is an Indian novelist and the Emerita John E. Burchard Professor of Humanities at the Massachusetts Institute of Technology. As a writer she has been shortlisted for the Booker Prize three times. She received a Sahitya Akademi Award in 1978 for her novel Fire on the Mountain, from the Sahitya Akademi, India's National Academy of Letters. She won the British Guardian Prize for The Village by the Sea. Lilly Reich was a German modernist designer. She was a close collaborator with Ludwig Mies Van der Rohe for more than ten years in the late 1920s and '30s. The Barcelona Pavilion, designed by Ludwig Mies van der Rohe, was the German Pavilion for the 1929 International Exposition in Barcelona, Spain. This building was used for the official opening of the German section of the exhibition. It is an important building in the history of modern architecture, known for its simple form and its spectacular use of extravagant materials, such as marble, red onyx and travertine. The same features of minimalism and spectacular can be applied to the prestigious furniture specifically designed for the building, including the iconic Barcelona chair. It has inspired many important modernist buildings. Kolbe executed important commissions throughout his long career, including many for the National Socialists during the last 15 years of his life, although he reportedly refused invitation to sculpt a portrait of Adolf Hitler. The Nazis appropriated his late style of monumental, idealized athletic nudes. From 1937 to 1944, Kolbe participated regularly at Große Deutsche Kunstausstellung, organized by the Haus der Kunst, Munich. His uncharacteristically bombastic Verkündigung (Proclamation) (1924) was a focal point of the 1937 German Pavilion. Commissioned by the German-Spanish economic organization Hisma in 1939, Kolbe created a portrait bust of the Spanish dictator Francisco Franco, which was given to Hitler as a birthday present the same year. In 1944, in the final stages of World War II, Hitler and Joseph Goebbels included Kolbe in the Gottbegnadeten list of the twelve most important visual artists. Only after Kolbe's death, a Beethoven monument (1926−47) and the Ring der Statuen were installed in Frankfurt am Main. The realization of a Friedrich Nietzsche memorial in Weimar failed because of Hitler's appeal. 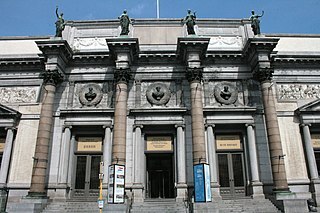 The Haus der Kunst is a non-collecting modern and contemporary art museum in Munich, Germany. It is located at Prinzregentenstraße 1 at the southern edge of the Englischer Garten, Munich's largest park. In 2009, an exhibition of Kolbe's Blue Ink Drawings was presented by the State Hermitage Museum, St Petersburg. 2017 an exhibition about his artistic, architectural and social network at Georg Kolbe Museum, Berlin (In Berlin's Modernist Network). Many of Kolbe's 1000 sculptures were destroyed by confiscation, bombing and melting for war purposes. His sculptures are in many museum collections in Europe, USA and Russia, among them the Museum of Modern Art,  New York, and the Moderna Museet, Stockholm. Wilhelm Lehmbruck was a German sculptor. Arno Breker was a German architect and sculptor who is best known for his public works in Nazi Germany, where they were endorsed by the authorities as the antithesis of degenerate art. One of his better known statues is Die Partei, representing the spirit of the Nazi Party that flanked one side of the carriage entrance to Albert Speer's new Reich Chancellery. Johann Heinrich von Dannecker was a German sculptor. Hermann Blumenthal was a German sculptor. He was a participating artist in the documenta 1. Westend is a locality of the Berlin borough Charlottenburg-Wilmersdorf in Germany. It emerged in the course of Berlin's 2001 administrative reform on the grounds of the former Charlottenburg borough. Originally a mansion colony, it is today a quite densely settled, still affluent territory adjacent to Berlin's inner city in the east. Katharina Szelinski-Singer, born as Katharina Singer was a German sculptor. She lived in Berlin from 1945 until her death. Fritz Klimsch was a German sculptor, and the younger brother of the painter Paul Klimsch. 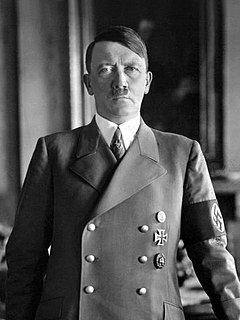 He was one of the famous artists in the era of Weimar republic. Hermann Glöckner was a German painter and sculptor. He was an important representative of constructivism. Elsa Fraenkel née Rothschild (1892–1975) was a German–born British sculptor raised in Heidelberg, Germany. Karl Albiker was a German sculptor, lithographer and teacher of fine arts. Albiker studied with Auguste Rodin in Paris. From 1919 to 1945 he was a professor at the Dresden Academy of Fine Arts. His monumental statues, like those of Georg Kolbe, reflected National Socialist heroic realism. Albiker created the relay racers for Berlin's Reich Sports Field and various war monuments, including those in Karlsruhe, Freiburg im Breisgau, and Greiz. Middelheim Open Air Sculpture Museum is a sculpture park of 30 acres in the park part of the Middelheim Nachtegalen Park at Antwerp. Anton Henning is a German artist who specializes in painting, sculpture and movies. Paul Wallat was a German landscape artist, draftsman and sculptor. Joachim Schmettau is a German sculptor. Emil Julius Epple was a German sculptor working mainly in Italy and southern Germany. In 1937, he moved to the Netherlands, becoming a Dutch citizen after the Second World War. Alfred Thiele was a German sculptor. ↑ In conversation: Kiran Desai meets Anita Desai The Guardian , November 11, 2011. 1 2 Georg Kolbe. Blue Ink Drawings, 14 October, 2009 - 17 January, 2010 State Hermitage Museum, St Petersburg. 1 2 3 Georg Kolbe Museum of Modern Art, New York. ↑ Amei Wallach (March 3, 1996), Over Their Shoulders, an Iron Hand New York Times . Wikimedia Commons has media related to Georg Kolbe .